pNOVO+ is a new de novo sequencing algorithm that makes use of the complementary fragmentation that we available from HCD and ETD fragmentation. The authors, Hao Chi et. al., test their system on peptides derived from a number of different enzymes and demonstrate a staggering level of efficiency. More importantly, as of right now, the link for downloading the program isn't accessible, but it is supposed to be here. Hopefully it will be up soon! I can not wait to try it! This month's JPR is awesome! You're going to be hearing a lot from me about this month's JPR. Were they saving up all this great stuff for the New Year? I'm just kind of floored by how many interesting new studies came out all at once! This month's JPR includes an article by Maria Pernemalm and Jahnne Lehtio at the Karolinska Institutet. The subject of the study is a new method for performing 2 dimensional isoelectric focusing. In the first dimension, proteins are separated by IEF. The strips are then cut, the proteins digested, and the resulting peptides are separated by IEF. The team reports a significant increase in their numbers of resolved proteins. 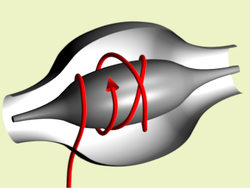 An advantage of this technique over that of the Offgel 2D system is that you don't have to buy the Offgel. The disadvantage is that normal IEF strips are a good bit more difficult to work with than the Offgel (IMHO). A schematic of their technique is shown below. Just another little tool that I meant to move over from the old blog. It is a simple Excel sheet to convert PPM for a specific m/z to MMU and to Da. 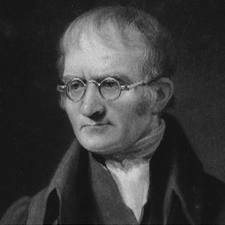 John Dalton approves. Edit -- 5/15/18 -- moved to Google Team Drive. Direct link here. A new study in this month's JPR takes a look at the correlation between 2-plex and 6-plex iTRAQ reagent kits. The results are a bit surprising to me, but they two reagent kits show a pretty strong correlation. You can find this study from Rauniyar et. al., here. 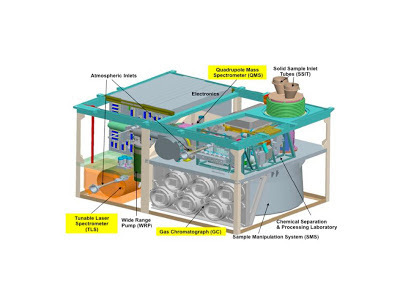 Below is an overview of their experimental design. You can download it from my personal bytebuckets account here. Again, not proteomics. 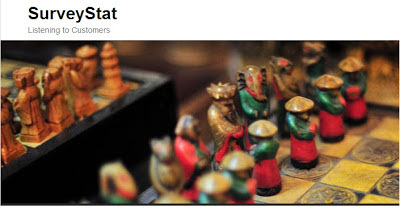 I may need to re-name this blog soon. 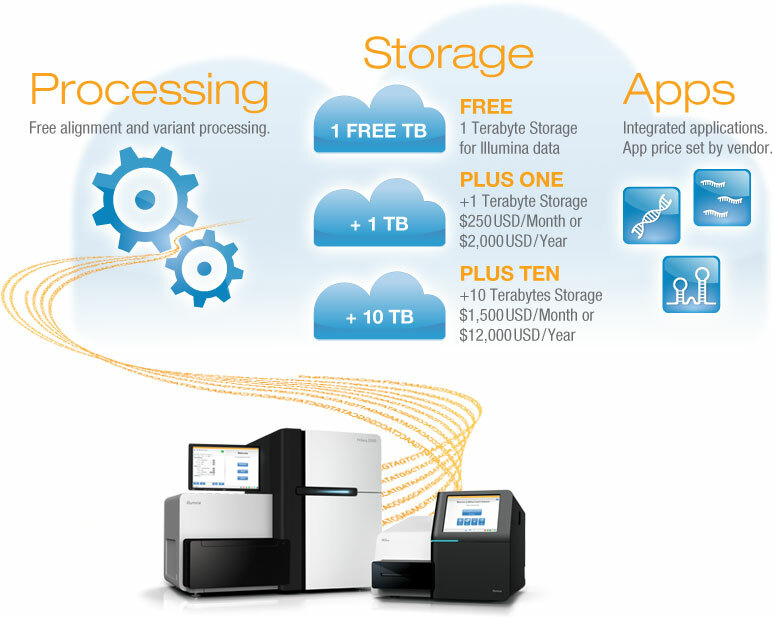 Anyway, BaseSpace cloud genomics is a service from Illumina that is set to kick off in January. It is an attempt to use brute strength to solve the difficulties of dealing with large amounts of genomics data. Typical genomics experiment on a dedicated power PC: design experiment (20 minutes) run experiment (24 hours) find typo in experiment and fix (1 min), rerun (24 hours), etc., and this was my experience with around 50 GB of microarrays. These next gen files can be substantially bigger than even the newest human Affy chips. By using a cloud computing format, each manipulation will be reasonably quick. 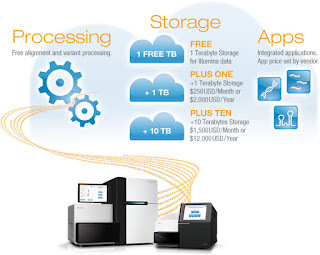 Now we just need dedicated proteomics cloud computers! Happy Xmas to my readers who celebrate this holiday. To my readers who don't, I hope you at least get the day off from work. Short blerb today on an article in this month's issue of MCP. The study from Fornelli et al., evaluate a new way of calculating intact mass by using a different strategy for averaging the transients in the Orbitrap. 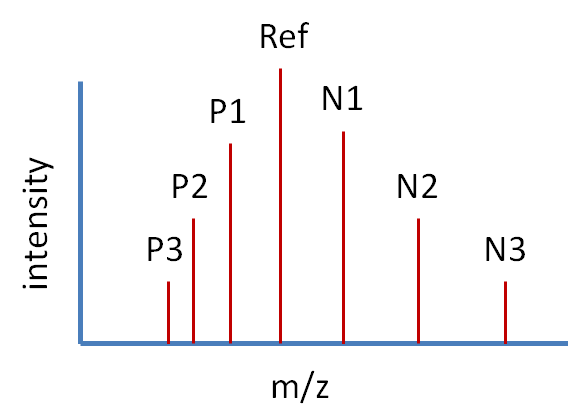 This method results in a massive increase in sequence coverage of a protein as big as IgG. It is also a heavy hitter article, the authors include Dr. Makarov and Neil Kelleher. If you are doing top down, get on this article now! Papers. A viable alternative to EndNote? 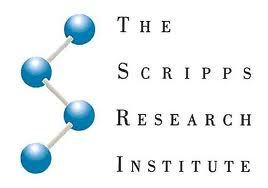 Papers is a program to help us keep track of our citations. While it is primarily useful for keeping track of literature you have downloaded, it also has handy functions for creating citations in your papers. At first glance, the $80 price tag for PC puts it right in the range of several other citation programs, but the $15 price for the program for iPAD makes puts it in a really nice price range for those of us who do most of our writing/reading literature on these devices. Another plus is that it auto-updates between the devices you have installed it on, a minus is that you would have to own both the PC and iPAD version for it to work. A new paper in MCP from Gallien et. 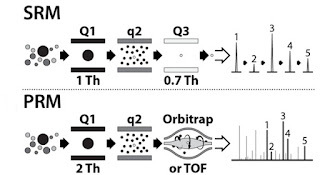 al., explores the power of the Q Exactive instrument for targeted analysis of proteins and peptides. The end result: 770 tryptic yeast peptides monitored successfully in a 60 minute gradient! PathCase is an NSF funding project at CWRU focusing mapping out biological pathways. The most unique aspect of this project is the metabolomics analysis workbench. This project is focusing on sorting out the findings of the rapidly growing field of metabolomics and making sense of it all. Perhaps best of all, this tool is available for free at the App store. The app runs smoothly and appears to me to be a nice way to quickly sort through a ton of elucidated pathways. 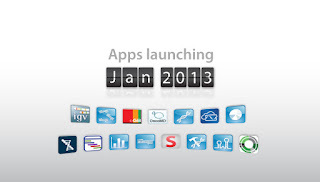 The app also appears to be available through the Android marketplace and for the Amazon devices. This article is from 2011, but it had slipped past me until my friend Santosh brought it to my attention recently. In the study, Savitski, et. 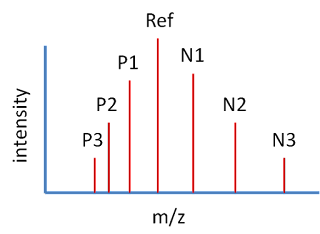 al., study the effect of various settings of the chromatography function on an Orbitrap Velos on their number of quantifiable reporter ions. 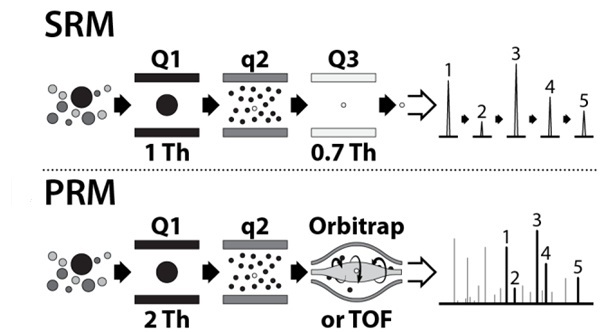 Their results demonstrate that delaying the fragmentation of peptides bearing reporter ions, using optimal settings, can result in an increase in both identification and quantifiable peptides. A surprise (to me) side effect is that they show a marked decrease in coisolation. This is an extremely interesting proposal since other methods for reducing the coisolation of peptides in iTRAQ experiments cause a large increase in cycle time, where this one does not. This week, the good people at the Max Planck Institute who gave us MaxQuant released all of their lectures from their summer school series on YouTube. They are broken into individual lectures of between 40 and 80 minutes each. You can visit the MaxQuant YouTube channel here and have access to all 10 lectures, including lectures on Perseus! 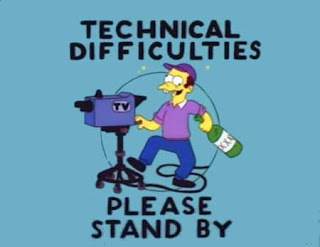 I've been having some technical problems lately, primarily relating to my ability to access the internet while on the road. This hasn't stopped me from typing, however, and I'll be backdating a number of entries that have built up over the last couple of weeks. I apologize if this causes confusion. Hopefully I'll be all sorted out soon. Tranche! Download proteomic data 1 out of 10 tries. This is me being overly critical of a service that costs me nothing, right? 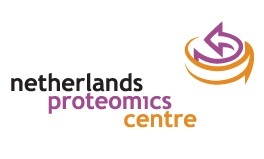 The Tranche Proteomics repository at the Proteome Commons is a great idea. A completely essential idea. It is awesome that we have it. But why doesn't it ever seem to work? I can go to a cloud service like ByteBuckets and set up a 1 TB data access port and put 1 TB of data on it and then download it from anywhere in the world. As long as you don't password protect it, it works pretty much seamlessly. Why, then, can't I ever seem to successfully access the data at Tranche? I tried 4 times today to pull down a small stack of files and once got as far as 20% into it before it failed. My record up to this point is 1 successful download out of >10 tries. Sorry, this is more of a rant than useful information, but that's how I roll sometimes. Anyway, I'm not the only one with this opinion. This same problem was a topic of a review that appeared in Nature Methods in April of this year. Improved chromatography and lower back pressure? I'm no chromatography expert. I'm a biologist. My graduate advisor, however, made chromatograms that would make people at conferences stop in their tracks. He is just that good (also a biologist...). I absorbed just enough to get by. So anything that makes my life (and separations) easier, I'm all for. And I just learned about a recent revolution in LC packing material that promises to do just that. Apparently it works by using solid core beads with small permeable channels...or something. The result is that you get much better separations at significantly lower back pressure. Sounds like a win to me. I had the luck to see one in action at the Mayo Clinic and I'm impressed. It looks like these new chromatography materials are available from just about everyone. 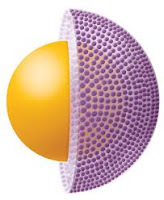 Below is a video that describes how these new materials work. Definitely check this out. The Thermo offering is called Accucore. I recently stumbled across this page (Mass Spectrometry Geekery) and have revisited a couple of times. You should definitely check it out. Alex does a great job (definitely better than I'm doing!) of keeping up with the new literature and commenting on it (she also has a great sense of humor!). A while back I wrote about my favorite Venn Diagram tool. 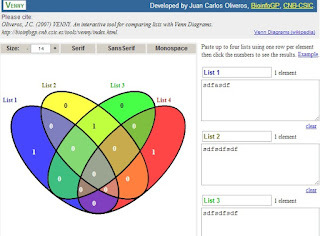 The Venny Venn Diagram Plotter may actually be better. It is a freely available, web accessible Venn plotter that will plot your redundancy for you. For example, if you have an output list of upregulated proteins by gene name from Proteome Discoverer and a list of upregulated genes from a microarray list, you simply copy the column from your Excel file and place it into Venny. It is plotted automatically, saving you tons of time and perhaps even DigDB analysis (necessary if you are comparing lists of 3 or more). You can use Venny for comparing up to 4 lists at the author's site here. If you need to compare a 5th list, a modified version of Venny is available at the Genotoul Bioinfo page here. Did you miss the 2012 iORBI? 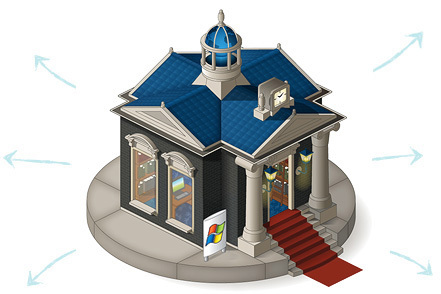 To download, go to Planet Orbitrap and look in the libraries section. There is a lot of proteomics software out there. Some good and some...not so good. But there is just so much now that sometimes really comprehensive and long standing developments will slip right around your notice. The work of the Tabb lab at Vanderbilt is one of these for me. 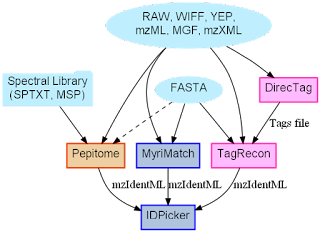 This lab has been developing and improving their proteomics workflow for quite a while and has a well polished open source package available. This week we ran some phosphopeptide standards though both this package and Proteome Discoverer and this package came up with nearly 75% of the IDs that PD did. If you are interested in an alternative for processing your shotgun proteomics data, this is definitely worth an investigation! This week I learend about Zwittergent, another MS compatible detergent (like Rapigest and that other thing one I wrote about a while ago). Zwittergent, however is unique in that it maintains its zwitterionic behavior in solution across a wide pH range. A group I am currently working with uses it quite a lot and it is obviously not hurting their results because their data is amazing. This week, Dr. Rien Blankenstein will be giving a free talk via webinar on the potential of LC-MS/MS for the measurement of hormone levels. The talk is provided by Science Direct and sponsored by Thermo. Thanks to Santosh for letting me know about this! 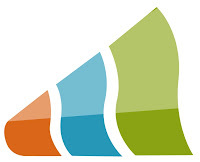 MS Amanda is a new high speed scoring node for Proteome Discoverer that is available through pd-nodes.org. It promises a new and rapid metric and full compatibility with both PD 1.3 and 1.4. The instructions for download and install appear easy to follow. I'll post when I get a chance to run a good data set through it. 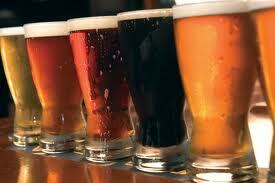 I recently wrote about a paper on beer proteomics. A recent review by Righetti et. 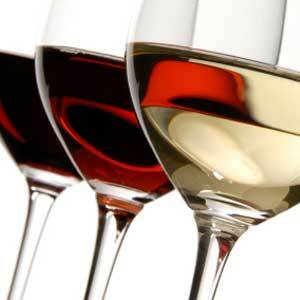 al., is a concise and comprehensive overview of the field of wine proteomics. The review summarizes many of the recent reports on the protein content of wine and digs into many of the recent controversies of the field, including the well publicized report on allergens in wine. The real center of this review is the results of 3 publications from the review's authors using a peptide library enrichment technique that has broad implications on wine technology. In the studies in question, the authors demonstrated the ability to detect trace quantities of wine impurities including, but not limited, to fining agents and fungal proteins. This paper is both and extremely interesting and entertaining read due to the authors' brassy tone and obvious sense of humor. Parallel Reaction Monitoring -- Do a ton of SRMs at once! I love SRM. Hell, everyone loves SRMs. Nothing beats getting your ion of interest and identifying it with 1) retention time 2) mass, and 3) fragment ion(s). The problem is that they are sloooooowwww. If they were fast, everyone would validate every observation they made with SRMs. That's why this paper in MCP lab from Amelia Pierson et al., of the Koon lab is so cool! 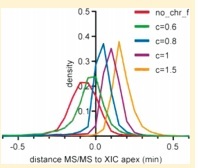 Parallel reaction monitoring uses the targeted multiplex MS2 method on the Q Exactive and lets you get a bunch of SRMs (or MRMs) all at the same time. Not only is it faster, but because the Q Exactive has an inclusion list of up to 5,000 ions all selectable by retention time, with the right chromatography system you can validate hundreds of observations in one go. MS based virtual western blots, may actually be a reality! 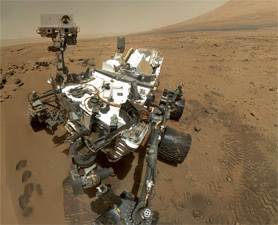 Yesterday, I had the chance to run my thoughts on the MS system on Curiosity by a small molecule triple quad expert. His thoughts really changed my perspective on this. Apparently +/- 1 Da isn't all that bad for a quadrupole instrument. Yes, there are better ones out there (such as ones produced by my employer that can do +/- 0.2 Da without big sensitivity losses), but most +/- 1 Da is pretty much the industry standard. While most quads can narrow down to smaller mass windows, the sensitivity losses are so severe that we it is completely impractical. Mass Spectrometer on Curiosity Part II, more 70s technology? Curiosity is a historic achievement. It is the biggest and most complex instrument we have ever landed on another planet. Virtually every T-shirt I have purchased since it landed has had a NASA logo on it. I am very very proud of the scientists and engineers who have made this possible. I am, however, very disappointed in the level of sophistication of the Mass Spectrometer on the Rover. This is a schematic of SAM (sample analysis at Mars) lab. The first thing you'll notice is that SAM uses a quadrupole mass spectrometer. Sure. This makes sense. Quads are robust and can take a jarring without requiring constant recalibration. The mobile mass spectrometers the military uses for detecting chemical warfare agents are almost exclusively quad instruments. The disappointment comes in when you look at the capabilities of this mass spectrometer. The above mass spectrum was taken from this paper detailing the calibration of the quadrupole unit from Curiosity. I understand, we are taking this instrument and shooting it to another planet, but are we looking at mass accuracy within +/- 1 Da? That is what I get. 1 Da? Now the quad has a really interesting mass range, from 2 - 550 m/z. That is a tough range to work with, but 1 Da? A guy I've been working with this week has been working with small molecules <100 Da and has been consistently been pulling parts per billion mass accuracy. In my opinion, this is where our technology is today. I'm sure there are reasons for this drop off, but I can't help but be a little disappointed. 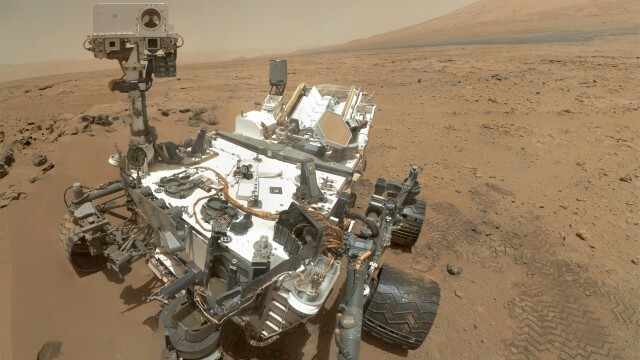 If you've been following the NASA Curiosity project even a little, I'm sure you head about the recent statement and subsequent let down of the "history books" statement regarding Curiosity's recent discoveries. Prior to the let-down, I began to seriously wonder what real capabilities the mass spectrometer on the SAM (Sample Analysis at Mars) had for detecting life. What I've found so far has been a little disappointing. 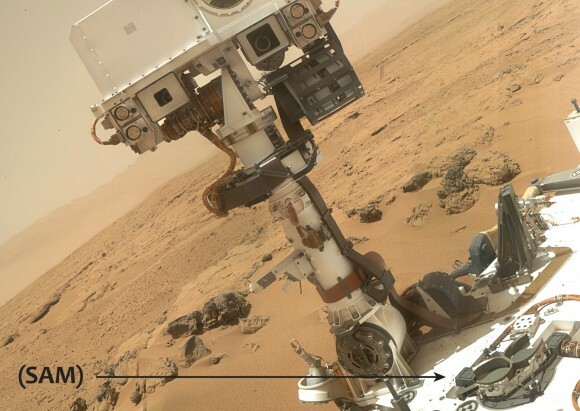 While Curiosity does carry a mass spectrometer, it doesn't appear to be a particularly advanced one, as the sensitivity of the instrument may not be any more than the instrument that arrived on the Viking 2, which landed on Mars in 1976, (3 years before I was born)! Part II will address the actual capabilities of the MS device and what it can/cannot detect. I think we've all been hearing rumblings of this for months at all sorts of conferences, but the paper finally showed up in Nature Methods 2 weeks ago. In this paper, Rose et. al., physically modify an Exactive plus instrument to extend the m/z mass range up to 12,000 Da. The steps seems predictably complex to this Biologist, but for you engineering types it might not seem that bad. For this study, I'm sure it didn't hurt that Dr. Makarov himself was one of the co-authors! $150 for doing a mass spec survey? Since I'm pretty sure I don't qualify (I do work for a vendor, after all), I can't really verify this, but it might be worth checking out. This company, SurveyStat is offering $150 for users of mass spectrometers to participate in a survey. Again, may be a scam -- I don't know. But it might be worth checking out. $150! Here is the link they sent me. Let me know if it works! Note to the MS Bioworks advertising company: making the app was useful to you as well! I am currently running through a lot of the new Apps available for proteomics/genomics that are available for the Apple and Droid devices. Some are useless (see Smarty Mass Spectrometer), while others are pretty awesome (see Sparkplug!). The MS Bioworks app falls in this second category. 3) Nice converters for temperature, pressure, molarity and my favorite -- A TUBING VOLUME CALCULATOR! Give it your capillary ID (in um or mm) and the length and it gives you your total volume. 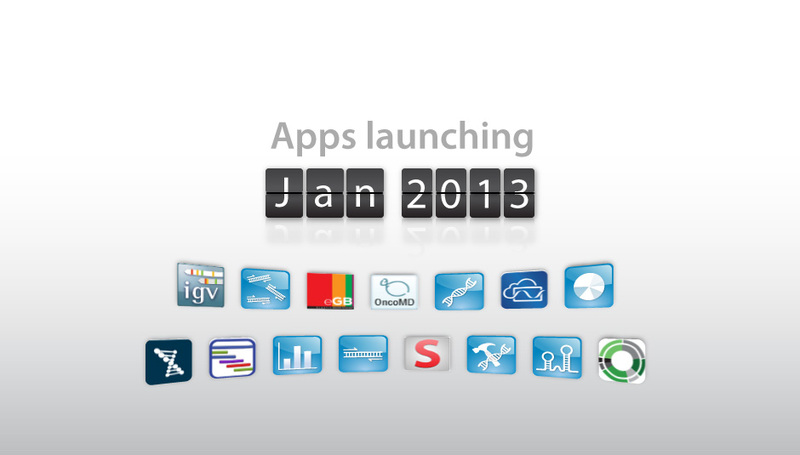 And who developed this really nice free App? I looked them up. MS Bioworks is an MS services company in Ann Arbor with some extremely nice equipment and capabilities. They can do everything from whole protein analysis to global PTMs to quantification via SILAC, iTRAQ/TMT, label free, and they are also set up for SRM/MRM. Their lab is set up with triple quads, an Orbi Velos Pro and a Q Exactive. Couple cutting edge equipment with the level of thoughtfulness they display in their little application and I think you have found a great lab for running your proteomics samples. Check them out. And if you do, let me know how it goes, I have a feeling you won't be disappointed. Note: The app appears to be available only for the apple devices. I can't seem to find it for my Android tablet. Now we're talking! 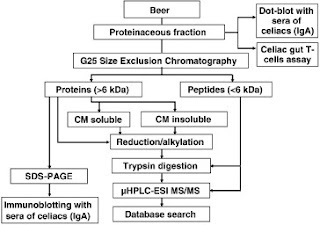 Beer proteomics! 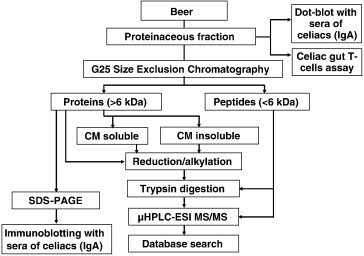 On top of the proteomics, the researchers were interested in the effects of some of the proteins/peptides present in this beer on celiac's T cells. 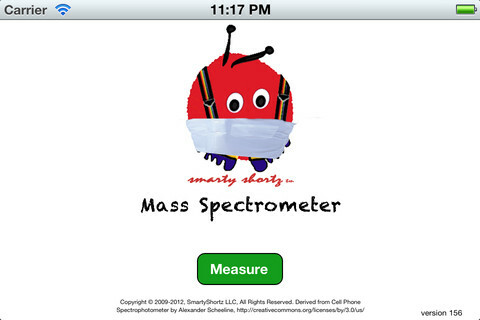 Smarty Mass Spectrometer -- Don't buy. If you are on the Apple or Google apps page and run across the Smarty Mass Spectrometer, keep on going and don't give them your hard earned money. This app has a very vague description about a donated mass spectrometer, which leads you to believe that it has something to do with science or something. It doesn't. Either the programmers had no idea what a mass spectrum is, or they are just slapping words on vague apps to see what idiots (me...) will actually pay for them. What it does is plot the color density of pictures that you upload into the app. My Pug could write this dumb app. Recently discovered PTM may be surprisingly common. O-GlcNAc-6-phosphate is a recently discovered PTM that was previously only identified on a single protein found in rat neurons. A paper this month in MCP from Hannes Hahne and Bernard Kuster demonstrates that this modification is a whole lot more common. By tracing specific reporter ions produced by the degradation of the mod during CID, they were able to confirm the presence of this modification on a number of different mouse neuronal proteins. They also confirm that this modification is found on some human proteins. Another useful tool from the good people (some of whom I finally met this week!) at PNNL. The FASTA validator tool is a useful too for checking your custom FASTA file. If you have been splicing things together, such as adding newly sequenced genes to your database, or if you are searching against next gen sequencing data, it isn't uncommon to see a few (or a few thousand) errors when you import that new database into Proteome Discoverer. If you see these errors, pull the File back out and run it through this tool. It will help you pinpoint the problems. Then correct them and put them back in. The tool can also help you deal with redundancy! 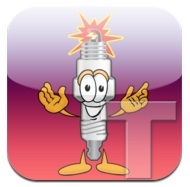 This week, Thermo Scientific's Sparkplug App became available for the iPhone. This is really exciting for me because I spend so much time on the road/in the air and I'm desperately trying to stay up-to-date on what is going on in the field. This is really tough to do from one hotel WiFi spot to the next. Now that I have Sparkplug on my phone it is a whole lot simpler. If you look at the Sparkplug icon on your phone and it has a number over it, you know that new material has been added. Clicking on the icon will break that number down to the specific areas where there is new information. For example, my icon currently has an "11" over it. Of those 11 new pieces of information, 2 are documents related to Orbitrap proteomics. One is a presentation that I can download to my phone for reviewing when American Airlines allows me to again use my portable electronics (in airplane mode, of course). The second is a curated summary of a new paper on the analysis of a modification of histones. The App also links you to other areas of mass spectrometry, including metabolomics and drug testing, among many others. It also keeps you informed of seminars that are available in your area, wherever that currently may be. I recommend downloading this free App. If it helps you even once, it is definitely worth the minute it takes to download. There is a good bit of confusion out there about how to properly maintain Orbitrap instruments. This is natural, they are extremely complex instruments and there are now multiple generations of them. There has also never really been an official document that tells you clearly how to tune and calibrate each instrument. The Achieving Peak Performance project is an attempt to rectify this. If you have a Velos based instrument (Orbitrap Velos, Velos Pro, or Elite) you can go to Planet Orbitrap now and download the document. It will give you step by step plans for optimizing your instrument to achieving the best accuracy and sensitivity in the least amount of time. Definitely check it out here.